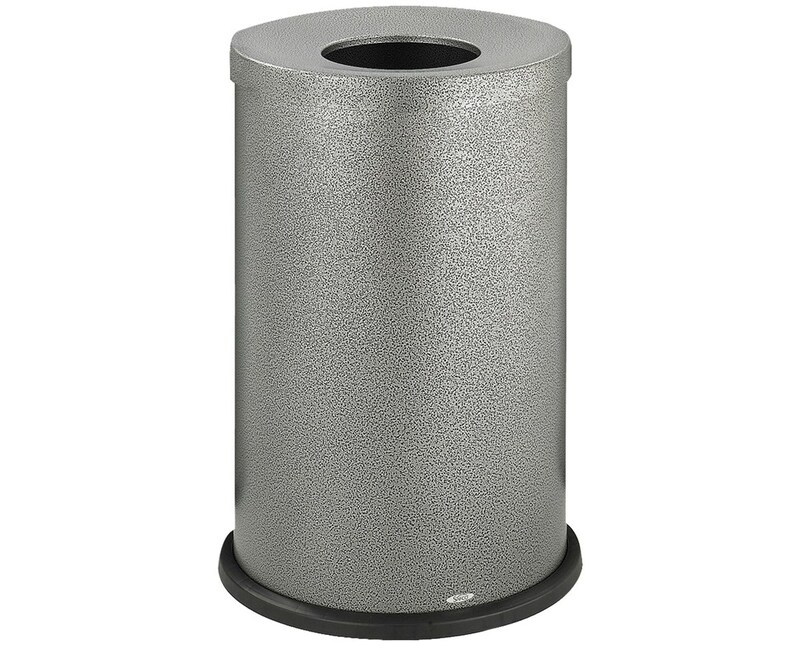 Get the modern style with the Safco Black Speckle Top Dome Receptacle, which is a high-quality waste receptacle suitable for indoor use. It has a large waste capacity of 35 gallons, a depth of 19.75 inches, and a height of 28.5 inches. 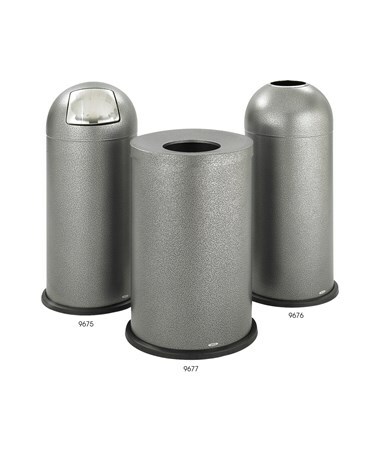 It features a top lid with a galvanized inner liner, an 8.5-inches opening, and double lock seam. 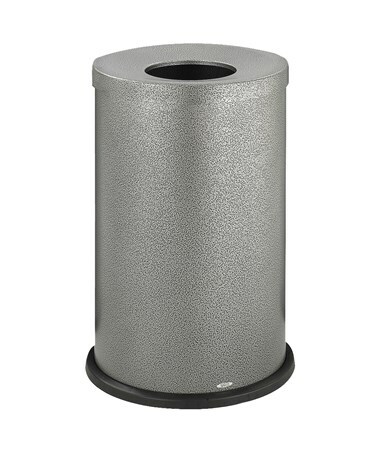 This waste bin is made of punctured-resistant steel with a powder coat finish that makes it smudge-free and fingerprint resistant. It is GREENGUARD certified which guarantees that this trash bin does not emit harmful chemicals.